There are countless articles, forums and social media posts online about how disappointing it has been to be a Sonic the Hedgehog fan in the modern age. While the franchise is still alive and kicking across various forms of media, it’s rare for anything new coming out to be very good. It’s just become another fact of life that Sonic will never get another good game. With every new release, comes a new wave of sorrow, reminding fans that the games they truly loved are from an era that’s only getting farther away. Enter Sonic Mania, a brand new game that pretends the last two decades of Sonic games never existed. A direct follow-up to 1994’s Sonic & Knuckles, the game follows the continuing adventures of Sonic, Tails and their new buddy Knuckles. Aided by an army of robot doppelgängers, the evil Dr. Eggman (shouldn’t his name be Robotnik?) has found a new source of power to fuel his nefarious schemes. As always, it’s up to Sonic and crew to take him down and free all the adorable woodland creatures from his grasp. 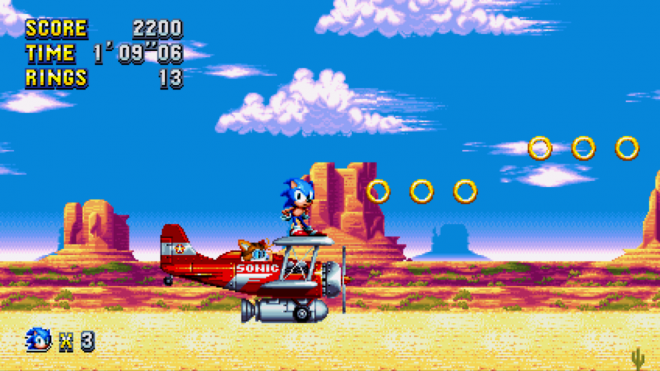 It’s a real Sonic game – The first thing you’ll notice upon starting the game is just how well they nailed the classic Sonic aesthetic. Everything looks, sounds and feels exactly like you remember. It plays like a dream – the momentum-based sidescrolling is as exhilarating as ever, with the controls being slick and responsive. Whether you’re running at top speeds or precariously jumping across platforms, it just feels fun. All the basic gameplay loops remain intact – collect rings to avoid damage, kill enemies by jumping on them and get to the goal as fast as possible. It’s as simple and rewarding as it’s ever been. Art direction is also top-notch, perfectly recreating the sights and sounds of 16-bit gaming. Even with the low-res limitation, they create some stunning designs with great color, all backed by a kicking soundtrack. 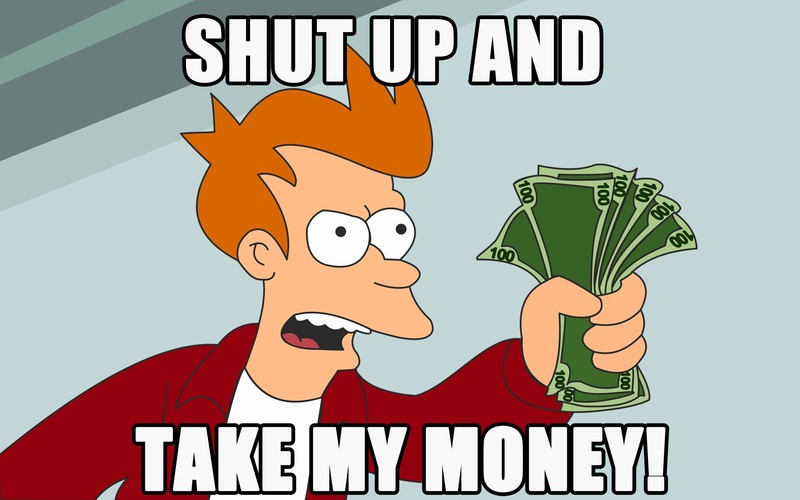 The main characters’ animations are noticeably updated, often smoothed out with extra frames or completely new. Everything is exactly like you’d expect a classic Sonic game to be, undoubtedly helped by some covert under-the-hood tweaks to recreate the same experiences for modern sensibilities. It’s a real sequel – Sonic Mania is a direct sequel to Sonic & Knuckles, and like any good sequel it takes what was great about the previous entry and builds upon it. 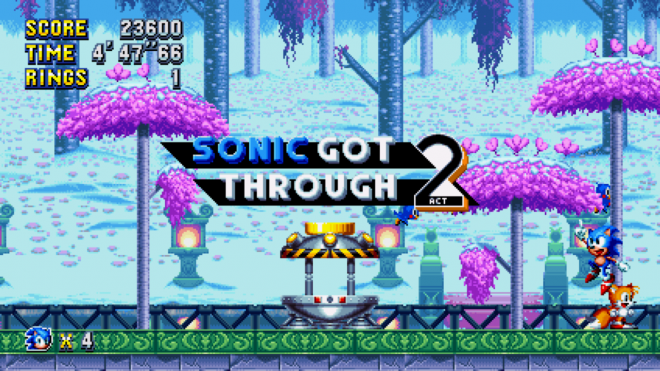 The structure is still the same – every level is split into two acts, culminating in a boss battle against Eggman’s newest robotic deathtrap. 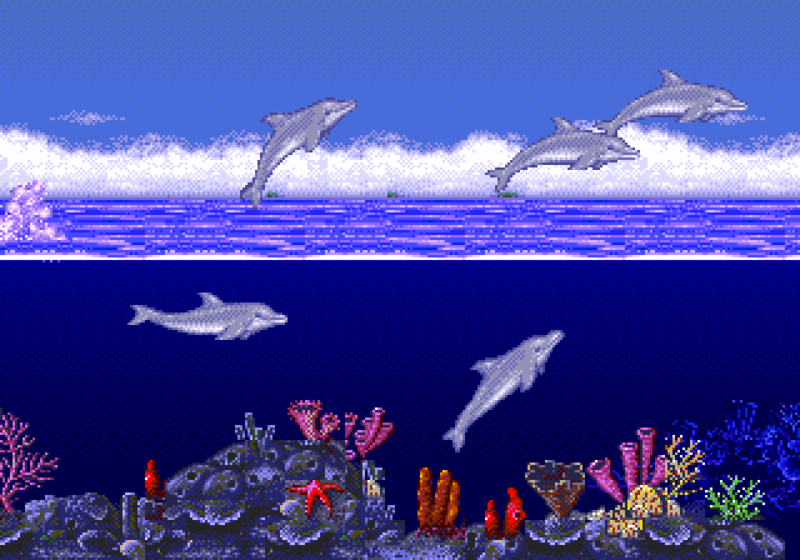 It retains all the changes made from the Sonic 3 & Knuckles, from elemental bubble shields to first-act mini-bosses, and adds just enough new stuff to keep it interesting. There are a couple new power-ups, including an incredibly clever one that makes it easier to collect dropped rings the next time you get damaged. 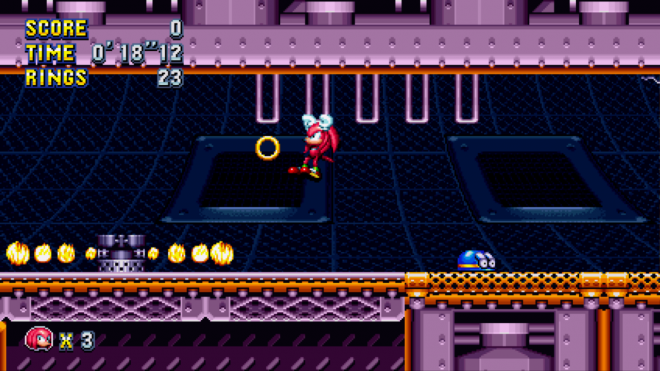 Like any good Sonic game, the mini-game for collecting Chaos Emeralds is brand new. The game takes place in a 3D race track as you collect balls to gain speed, trying to catch up to the UFO that’s carrying an emerald. The controls can be a little touchy, especially at high speeds, but it’s still a more fun example of the possibilities of a 3D Sonic game than most of the series’ full games. It’s a real good game – Sonic Mania isn’t just a great representation of a classic Sonic game, it’s a flat-out great game. Levels are extremely varied, with each new zone looking completely different and hosting a new set of fun, interesting gimmicks. Every level contains multiple branch paths and is chock full of secrets waiting to be found. Every level is capped off with a boss battle, all of which give off an ever-so-satisfying crunch with each damaging blow. There’s a wide variety in bosses that rivals the rogues gallery from previous titles, with some changing up (or foregoing completely) the classic “jump at the weak spot” mentality. While the main adventure is of a moderate length, with three playable characters and a whole lot of extras to unlock (including new moves and modes), the game is practically begging for multiple playthroughs. Been there, done that – Sonic Mania sells itself as the direct sequel to Sonic & Knuckles, but a legitimate sequel released in the same decade wouldn’t pander to nostalgia this much. 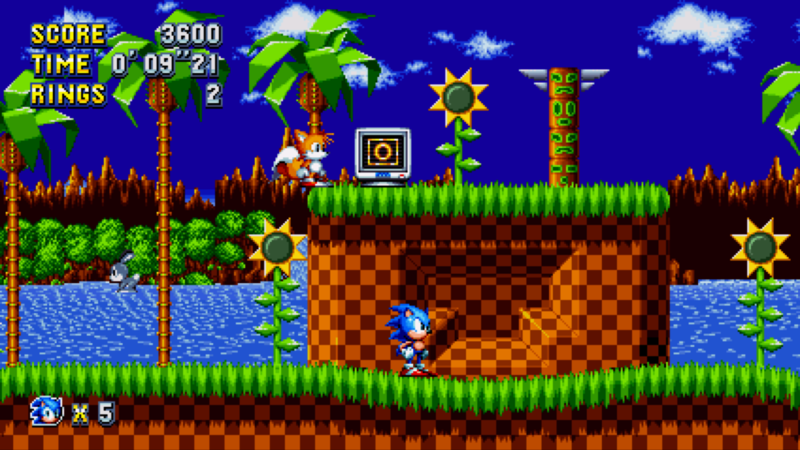 Half of the levels in the game are remakes areas from previous games, starting with the classic Green Hill Zone. These recreations aren’t just using the same tile set and music – they use large swaths of the same level layout. As you progress through the zones things start to get mixed up and new elements are added in, and often end up with the more unique and memorable boss battles, but it doesn’t alleviate the feeling of redundancy. The old art styles don’t exactly mix with the new stuff, or even each other, making these time jumps slightly jarring. As a fan, this game is at its best when it’s doing something completely new, because it’s brand new content that’s not already drilled into my brain. I’ve already drowned more times than I can count in Chemical Plant Zone during my childhood, it’s not something I particularly want to relive in a completely different game. Old school – Being a classic throwback, it’s a given that there will be some old-school sensibilities that will be really hit-or-miss with the modern crowd. The game utilizes a lives system, and losing all your lives throws you back to the main menu. Thankfully progress is saved so you’ll only need to restart from the beginning of the zone’s first act, rather than the beginning of the game. Despite having a health system there are instant death scenarios, such as falling into a bottomless pit (tough but understandable) and getting squished by a moving platform (unfair and frustrating). Even at its best the game isn’t easy, and you should expect to die a lot. Nothing about this classic approach is necessarily bad or poorly done, besides death by squashing, but will likely be divisive among those who aren’t as forgiving of early 90s design principles. By going back and looking at what made everyone fall in love with the series in the first place, Sega was able to deliver the best Sonic game in ages. It’s a long-lost relic from an alternate history where the franchise got one more great Genesis game. While a bit too caught up in its past, it’s undeniably amazing how well the core gameplay still holds up today. Sonic Mania is a fast and fun platformer that should not be missed by any fan of the series or anyone who just enjoys a good side scroller. Sonic Mania was developed by Headcannon and PagodaWest Games and published by Sega. It was released August 15, 2017 for $19.99. A copy was provided for review purposes.